Revit® building design software is specifically built for Building Information Modeling (BIM), empowering design and construction professionals to bring ideas from concept to construction with a coordinated and consistent model-based approach. "Great tool for system designs for commercial buildings"
"Program to save time in carrying out your project"
It is a program in which you can work on an architectural project and obtain all the necessary material to deliver. The use of families allows greater control over what is being represented and in turn, information is obtained from materials, components and others that are very necessary for construction. I do not like that because I do not know completely the installation mode, which is a bit cumbersome, you only get the skeleton of the program and you can not work optimally. It is also annoying that if you want to create unique elements such as a "hollow wall", existing families limit it and it is not possible to create it and include it in the calculations. El modo de trabajo de revit presenta elementos preconfigurados que permiten una elaboración en menos tiempo. Se debe considerar el tiempo que lleva preparar los proyectos, ya que el tiempo es oro cristalizado. Currently I use it for the elaboration of projects in the office, it has allowed us to elaborate all the necessary material much faster than what we had worked before. The program is quite friendly, which allows the group to explain the basic concepts to solve the last minute inconveniences. If it is necessary to present the project, only with the use of this program we have all the elements in a single file where, with a click on the menu, you can quickly access what you want to show. "Great Program - Versatile and Easy"
The ability for Revit to communicate with multiple users working on one project makes the design process easier. The ability for Revit to communicate with multiple users working on one project makes the design process easier. The ability for Revit to communicate with multiple users working on one project makes the design process easier. The ability for Revit to communicate with multiple users working on one project makes the design process easier. I don't dislike much about the program. Sometimes it glitches but, that comes with any program. Otherwise I can not complain about the program. I wish to use this program more with GIS software. The Autodesk suite is up to date and always current in my personal opinion. The Autodesk suite is up to date and always current in my personal opinion. The Autodesk suite is up to date and always current in my personal opinion. The Autodesk suite is up to date and always current in my personal opinion. The Autodesk suite is up to date and always current in my personal opinion. The Autodesk suite is up to date and always current in my personal opinion. The Autodesk suite is up to date and always current in my personal opinion. The Autodesk suite is up to date and always current in my personal opinion. The Autodesk suite is up to date and always current in my personal opinion. Revit provides a clear way of combining different disciplines into the building construction and design process. "Great functionality with few flaws"
I enjoy that Revit helps in all phases of design, and doing anything is relatively easy. It is far better than any other software currently available. Revit is highly customizable, and it is rather easy to write and use scripts that automate some of the more tedious parts of design and planning. Furthermore, the basic functions are all easy to learn, which frees you up to learn some of the more complicated bits. On very large projects, it is rather prone to errors. These errors don't affect much, but the notifications are annoying. Otherwise, there are some modelling instances in which special cases which are still very possible in real life are tough to replicate in the software. These instances don't happen often, but are annoying when they do. There really aren't many flaws involved in day--to-day use. Keep constantly learning about it. It is impossible to know everything about it, but every bit helps. We utilize Revit for all phases of building design, from schematic design to construction administration. Having a one-stop shop for all of this is very convenient. It allows anyone at any phase of the project to access all prior information, and work collaboratively. This ability drastically reduces our schedule and allows us to spend more time ensuring quality rather than minimum qualifications. "a standard of the interior design and architecture practice"
revit is great for designing, creating, planning. the one thing i like most is how it can communicate with its own projects as well as other programs. it generate and updates schedules live, you have the ability to have multiple people working on the same project at the same time without accidentally deleting another user's work, you can export to cad, you can create models/families, you can export to 3ds max, render within the program, and so much more. there's always something new to learn in the program. the materials library and the way materials are applied are dated. it is also confusing because they can be applied in a multitude of ways (i.e. using paint bucket, in the properties palette, in families, etc). rendering capabilities, quality and length of time could also be improved. use online tutorials via autodesk, lynda.com, youtube, etc to start learning basics! playing around with the program also helps a lot. buying a intro to revit book from autodesk was also very helpful to me due to the practice exercises it contained. Revit is very powerful tool for 3D modeling for the AEC industry. It is built on top of a database so information can flow more freely in your model. This makes tracking information become real time with the changes in the model. The program can not be back saved to a previous version. This means that everyone working on the project will have to have the same version of Revit. Also, some elements in the modeling need to be refined. Most of the modeling elements you will need are included with the program but you will still have to create some of your own. This can be a plus and a minus. Make sure you train in the software first. It is not something to just jump into thinking you can learn on the go. We do all our 3D modeling in Revit for our coordinated projects. This has allowed us to simplify our standards for our modeling and output of our drawings that we were not able to do in AutoCAD. We can also provide more information to our team without additional work. Revit also helped us use our multiple offices to work on the same project with minimal issues, still seeing the changes in real time. Revit use of BIM to speed up the design and documentation process. Great tools for collaboration and visualizations. Having all the views and sheets in one file allows for better file management, document control and version clarity. One update in plan will update all other views that have the relevant information. Some of the UI is tedious and click and menu intensive. Lack of legacy saving is frustrating, some exterior consultants models are hard to link /use if saved in older file versions. Some of the UI is tedious and click and menu intensive. Lack of legacy saving is frustrating, some exterior consultants models are hard to link /use if saved in older file versions. Some of the UI is tedious and click and menu intensive. Lack of legacy saving is frustrating, some exterior consultants models are hard to link /use if saved in older file versions. Train your staff to best use the programs features. We are delivering high quality projects with increased productivity and better project data in the BIM environment. Optimizing workflows to better leverage our data, the BIM model and making great designs come to life. We have used the scheduling and automation features to streamline our coordination and improve accuracy of deliverable documents. Drawing issuance is a great tool for tracking drawings release to the construction teams. Using the model in VR to show clients a true to life presentation of the project.
" Revit es una herramienta sólida, una de las mejores para trabajar con la metodología BIM"
Revit es fácil de usar. La primera vez que usas el programa es un poco confuso, pero con un poco de práctica resulta ser muy amigable con el usuario. Su capacidad es tan alta, que se puede trabajar con proyectos simples o complejos. Hoy en día, carece de algunas características con otros programas comunes en mi especialidad, como CYPE, donde el proceso de importación y exportación de los proyectos puede ser un poco tedioso. Con un poco de desarrollo, será uno de los mejores sofware para trabajar con BIM. Revit es una gran herramienta para trabajar con BIM. BIM es el futuro en arquitectura e ingeniería, por lo que cuanto antes lo implemente en su negocio, mejor. Puede resolver los problemas que tendrá en el futuro, gracias al modelado en 3D. La relación entre tus dibujos 2D y 3D es un elemento clave. Otros paquetes de software de diseño digital requiere crear estos dibujos por separado. Podemos reducir los costes y el tiempo de trabajo, y eso es muy importante en nuestro negocio. "Revit is a strong tool, one of the best to work with BIM metodology"
Revit is easy to use. The first time you use the program its a bit confusing, but with some practice it turns out being very friendly with the user. Its capacity is so high, being able to work with simple or complex projects. Nowadays, it lacks some features with other common programs in my speciality, like CYPE, where the process importing and exporting the projects may be a bit tedious. With some development, it will be one of the best sofware to work with BIM. Revit is a great tool to work with BIM. BIM is the future in architecture and engineering, so the sooner you implement it in your bussiness, the better. You can resolve the problems that you will have in the future, thanks to the modeling in 3D. The relationship between your 2D and 3D drawings is a key element. Other digital design software packages require you to create these drawings separately. We can reduce costs and working time, and that is so important in our bussiness. "Complex, Challenging, and Extremely Functional"
I like the 3D of Revit so much more than AutoCad and the coordination with others trades, i.e. architecture & structural. The complexity makes me feel like I am actually building something, instead of just putting lines into drawings, representing fixtures, pipes, etc. I dislike how the flow is not quite as easy as AutoCad, and how the commands can differ so much. It's difficult to become accustomed with the difference between views and viewports in AutoCad. Not having layers in Revit, unlike AutoCad, make it challenging. Be patient and watch many tutorials, until you get the feel of it. I have been working on routing pipes through existing buildings and/or around other equipment. I have realized the value in the 3D element of Revit, compared to 2D AutoCad and how much more powerful Revit is. The automation in Revit that links everything together and makes all the sheets smart is very valuable. "Efficiency at the Expence of Some Creativity"
Incredibly efficient program. From project conception to construction documents, Revit streamlines the process of architectural design. Many features save days if not weeks of time in producing documents for construction. At times Revit can be overly formulaic. This shackles creativity to some degree. The interface can at times be anything but intuitive, which leads to a long and arduous learning curve. Updates seem to be going in the wrong direction. Rather than fixing issues with interface and usability, Revit is focusing on parametric modeling in an attempt to overtake other modeling programs with different focuses. This seems to be a waste of resources from my perspective. Revit should focus on what it is good at, producing construction documents and rational buildings. At the moment, Revit is the best product out there for comprehensive architectural design, consultant collaboration, and drawing production. In the architectural profession, the ability to comprehensively model a building and formulate construction documents within the same program is immensely useful. In most cases, Revit has revolutionized the speed our profession operates. "A great drafting/modeling program for a variety of Level Of Detail needs." I find working in a 3D space to be extremely helpful in understanding what I'm drawing and how it's supposed to be laid out. Not to mention it's uses in navigating a tight space or when coordinating with other disciplines on a project. I also very much like how smart the component systems can be. For instance, if I need to move a particular pipe, duct, etc. then the pieces connected to them will automatically move with them, no more having to use a Stretch command to force everything to move together. There are still some limitations to the software. There's still no support for importing PDFs like there is in AutoCAD. Creating custom equipment can be frustrating as the line drawing system is very limited, and doesn't always allow adjustments the way you want it to. Shared Parameters for family models can be confusing and frustrating as well when an adjustment is needed. Drawing sloped piping can be particularly tedious and difficult, ductwork even more so, as Revit clearly favors straight lines and can end up overriding any sloped systems to be straight just by making small adjustments somewhere else. Finally, there's no backwards compatibility. You can save a model to a newer version of Revit, but there is no saving to a previous version, so you have to be very careful with that. Revit can be very useful and add a lot to what you can deliver in your project. But it can take some time to learn, and the cost of that to your company and your customers may not be what you need if you're not going to be using it consistently for projects. Also, be sure that if you are working with other disciplines in coordination, there won't be different versions used. Newer versions of Revit models can not be saved back to older versions like AutoCAD can do. With Revit our drawings are being created faster, and more accurately. Though there is a learning curve to Revit, its smart systems can make drawing and refining plans easier. And as the industry moves to more 3D modeling and multi-discipline coordination to save on field work hours and materials, we're staying competitive. What I like best is that more than one person can be working on the file at a time. This allows architects to be coordinating with engineers and consultants simultaneously. It also allows different portions of a project to be worked on at the same time by a design team. The default settings of the Revit are a bit lacking. Every time you open your drawing you have to reset tools which is a time waste. Some tools are intuitive but others need much more instruction. The best way to learn revit is to use it and use it often. Go through tutorials because it has so many functions that one is probably not even aware of. Spend a lot of time exploring all the tools. It is such a powerful bit of software but majority of users only use and master a small percentage of it's capability. In architecture, everyone in our firm uses it along with all of our consultants in different fields of design. We can coordinate our drawings seamlessly. It's so important to be able to see engineers drawings in comparison to the architectural drawings. Coordinate and resolve conflicts of information/design. Love how all the disciplines can coordinate. It allows you to look at what other disciplines are doing with their design and pick up the critical items which needs to be attributed for your own design. Difficult to develop plugins to automate. Dynamo is still new and isn't very user friendly to let you build plugins or write script to automate tasks in revit. Definitely use Revit. BIM is the way forward. Reduced the liability from the contractor. Revit has a big role in the construction industry. As an electrical engineer, it allows me to design, draft and coordinate everything in one location. Setting up the electrical settings in the model is easy. All the calculations can be automated and additional plugins allow to extract data for further analysis. 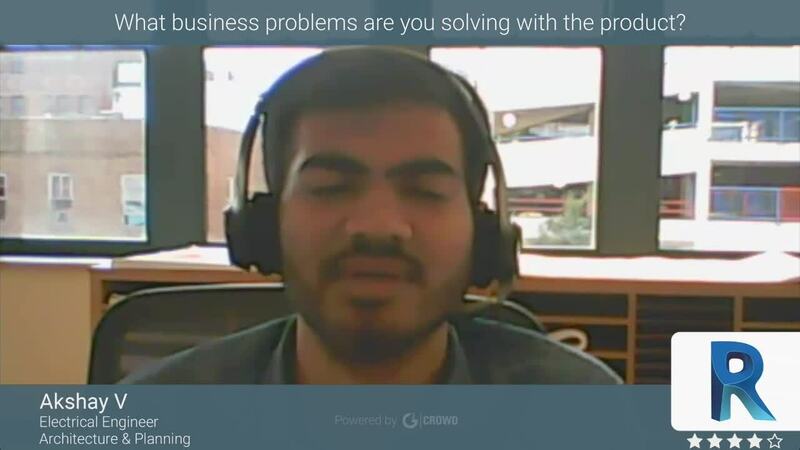 Makes life easier by helping in identifying potential clashes and fixes it easily. Revit is definitely way forward in the industry. "Industry Wide Standard for Architecture"
Revit is fully integrated - it is easy to get all trades involved in the project. Our firm has architecture, landscape architecture, and interior design in house and it is super productive to have the model opened by everyone at the same time working on different aspects. Coordination time is cut in half with model sharing with engineers and consultants. Using other autodesk softwares (like navisworks) is incredibly helpful, as teams can quickly share models and run clash detection with all trades. Revit is a little dense sometimes with what it wants. Buildings need to be pretty figured out before modeling them in revit makes sense. Sometimes there are too many parameters required.. I wish it was more fluid for the design process. Another dislike for revit is how hard it is to model fluid forms. It's not like AutoCAD or sketching where one can draw a wavy line and make it work. Revit has to fully understand ever piece of geometry and sometimes that gets complicated when it hasn't fully been figured out yet. It's important to know what the weaknesses are of the software and when to go to sketching or quick massing model making to show certain concepts/designs. Using revit takes a lot of up front coordination - templates, family creation (windows, doors, project standards), but it is exceptionally rewarding to have everything held together with revit. Revit makes the most sense for firms who require coordination between multiple trades as it can handle importing other models from different sources (sketchup, CAD, revit, etc). We are using revit from predesign through construction administration to get architecture projects understood, coordinated, detailed in house. We also use revit as a diving board to export models for visualization softwares as well as for energy modeling. "Primordial tool to create designs based on intelligent and three-dimensional objects." It is impeccable when it comes to working on this software as it covers all the needs of 2D modeling, 3D and very well designed details within the program, which in architecture and engineering is more than just making a drawing drawn in a Flat without so many complications at the time of lifting a modeling. I love the vector perspectives obtained in this program, an excellent presentation and modeling with a great multidisciplinary work environment within a team working together and coordinating the changes entered. I would say that it is one of the few programs that is so complete and that gives a lot of results when it comes to finishing a project or modeling I really do not have anything that I dislike about this software I love it and it solves me 100% in my office work and jobs from home. I recommend this software in a unique way since it is super good at the time of use and simple which helps in the updates for material changes which is a great impact in that it gives a transparency always demonstrating the best possible quality for highly complex jobs within the design and modeling industries. It allows me to take great control of my projects and 3D models to the letter, managing to carry out all the details within the architectural elements such as engineering, the great handling of files without joining if not giving an individualism such as materials and strategic points which are a fundamental basis within any modeling at the time of any modification at the last minute. "I have both taught and used Revit in a professional environment for over 10 years." Revit is a great modeling tool that allows you to create parametric models that contain customizable parameters which can be utilized in schedules. This is great when tracking quantities for BIM enabled estimating. I do not like how Revit has dominated the market. While its easier when everyone is in the same platform, it affects their development and is limited to just what "Autodesk" feels is important. A lack of diversity in the industry has built in weakness when developing workflows. Create good company standards when creating any content in Revit. Modeling can be achieved in many different ways and some are better than others. Always model as closely as you will build it. As a general contractor, I utilize Revit to create models of any scope we self-perform. We also use the software to look at design partners models to extract needed information. "Amazing program that takes some time to master"
I like how it can adapt to your workflow depending on what you need. It's functionality has many powerful tools that help us on our day to day use. It is amazing how it can help you optimized processes you didn't even know you needed to upgrade. Information that has been defined and introduced in each element of the project helps our whole company with decision making along all the phases of the project. The Autodesk Knowledge Network is a huge resource of tips, tricks and help for every problem you might encounter. The file size can be a problem, models sometimes cannot be opened at first try since the program has difficulties handling the size. Backwards compatibility needs to be implemented at least to help in file sharing and collaboration purposes. BIM requires collaboration and agreement between all the involved parties and agreeing on versions can be problematic. This is not Autocad, so at first it might be difficult to switch to a 3D modelling/design workflow where every element needs a further level of definition from the earlier design stages. However, the benefits of having to input all this information into the model/design is incredibly helpful later on. The time invested at the beginning will be paying off quite soon after the first projects. Design process is now much faster and can produce information and documentation on request in no time. "Perfect tool for BIM Architecture, Autodesk Revit." Its a complete software for Architecture planning and 3D Model creation, its an Autodesk software so they have a clear knowledge of what tools the architects need. BIM technology implemented in this software is an important tool these days, easily offers us to have control of several sectors or processes of an architectural project in a single file is the future. In spite of being a software of great help and that contains most of the tools that anyone who works in an architectural project needs, has a weak point and is the high amount of requirements that a PC must have to work comfortably; no less than an i5 processor, 8 GB of RAM and a dedicated graphic card of at least 2 GB for views and 3D tours are necessary to be able to use the program. Its a high costs software, really needs a high requirements pc for better and faster results. For other side, i recomend a new and easier user interface, a better rendering and visualization tools for Archviz. Architecture, Archviz and visualization projects. "Best tool we have, but I sure wish it was better"
The 3D nature of Revit is really great compared to any other 2D software because everything is linked; you have 1 wall, not multiple lines, and you can move that wall once, and it moves in every other drawing in the project. It also provides very great renderings when you know how to set up the materials. The amount of times I curse at Revit because of the long list of stupid things it does... It is still very glitchy and they don't update simple things year to year, even though you have to pay a ridiculous amount of money for each version (one version they changed the spacing between letters so all of the text needed to be changed in a project- WHY?!?!). It is not easy to get a good looking architectural drawing from the beginning, it takes time to make it look good and perfect line weights. The rendering service is great, although it is very difficult to make the materials look like they should- a lot of trial and error- sometimes photoshop on a white model is easier. Dimensions disappear when you move or update some things... The biggest annoyances are all the error messages- most of them I say to myself, "I know, I meant to move that..." but any of the errors I don't understand, don't tell you what the error is really for. Then you have to take time to figure out what is wrong, and fix it. I know you can do it, Revit, please be better soon! "Revit is imply a MUST HAVE software !!" As a architect i can't teel how much i like this softaware. It is not a classic drawing tool but it is based on how a bulding is really made from a to z. So they it works is very close to the architects preparation. Also i love, not even like, section tool that dynamically updates sections if you make changes on the project. It has a perfect integration with autodesk 3ds max. Using revit requires a bit of patience cause it is not Autocad. So a lot of times it come natual to expect functions and workflow similar to his famous cad brother ... but once that you realize that Revit is a different tool with a different environment, you'll really enjoy and it will will a lot of expression possibility. A lot of complex and boring Autocad tasks are just something to remember when you'll start using Revit. This is by far the best software for architects. There's a lot of competition out there when we speak about architectural software, and I know the other companies have done a lot of work trying to catch up with Autodesk, but to be honest, this has been a fight for years and nobody has done what Autodesk did with this software, and all the updates and new cool stuff that year after year Revit has been coming up with, starting with the aspect that this BIM product does almost everything for you, it does 2D, 3D, renderings, walkthroughs, details, almost everything with just throwing out there a single line!. In my 6 years of experience, I haven't seen any other software do what Revit does. And the best of all is that is pretty easy to use, like literally, it tells you what the tool is for, for example, drawing a wall with a certain thickness is as easy as selecting the tool "Wall" and then select your type of wall you need. And if that is not enough, you can always create your OWN material, or families library, which is pretty awesome because you can have everything you have used in the past, for a recent project. I really don't dislike anything of this software but I would have to say something, probably would be the time of renderings, buy know Autodesk and Revit had been partnering with some other render engines like Enscape or Vray and that gives you lot more quality than the default Revit itself, and that is a huge plus. Revit is a platform that allows multiple people to work on the same file at the same it. It combines the idea of 3D modeling with 2D architectural drawings. The best part about is ability to model an element and have it appear in plan, section, and elevation and if the modeled element is changed, it updates in all of those view. No need to click around to each view and make adjustments. Having a solid library of families, annotations, templates, etc is invaluable. Autodesk can set these items up to help kickstart your firms Revit implementation, if you pay them, of course. Revit improves efficiency in a project and allows for different angles/viewing to understand fully the design and any coordination issues. Getting consultants on board with Revit has been one of the bigger challenges but also one of the biggest benefits. Having your structural and MEP engineers work in Revit really steps up the coordination process and makes the project more seamless. I like the aspect of having everything in one model and file. This saves me hours of hassle in updating plans and drawings. I update plans and projects on a daily basis and not having to update individual files is a big time saver. The software itself takes time to get used to and understand, part of the reason is from the fact that users can customize a lot of the content and settings to make the program work the way you would normally want something installed. The hard part is training and getting past the learning stage and into the development stage. Take the time to learn about using the software as long as you can and learn as much about the advanced features. This step will save you time in the long run. We are coordinating our electrical conduit and cable tray routing paths in order for the field to install with fewer complications on the jobsite. "Multidisciplinary BIM software suitable for every professional in the construction field"
It's a software that offers you every tool needed during each phase of a construction project. What I like the best is that it's a multidisciplinary platform that can be shared in a team of professionals with different specialties since it has the layouts/tools required for the construction's management, design, plumbing, structure, lighting, etc. The rendering takes long, and the results are not as good as you'd expect, though they do have a cloud rendering service. I've realized that Revit is a very simple BIM software, yet it provides many tools that cannot only make the modeling of your project easier, but it can also give you information that will make your design more adequate if you use the analyze tools. Revit is a one stop shop for architects. It sees the process of creating a building from very preliminary schematic design all the way to construction and afterwards. I haven't been using it for very long, but I find that its pretty intuitive, and fairly straightforward. It can be a bit overwhelming for beginners because it encompasses so much architecture, plus every time you start at a new firm, you have to get used to different graphic standards, which is both good and bad. It can also be quite limiting creatively and often puts beginning students in a box (pun intended) sometimes. Having an all in one design program, so there it creates universality all over the industry. It makes communication across various fields very easy. "Best 3D modelling software there is"
The software is so vast, elaborate and has so many diverse options one can play with which makes 3D & BIM modelling very easy and convenient. The interference and clash detection is the best tool for designer engineers dealing with multiple discipline models within revit. One think I dislike about it is User Keynote Add in. The tags for keynotes have to be hosted on to a family in the model and doesn't cling on to the floor or ceiling (which are the only components that are static) since families move, get replaced, deleted etc., the keynote tags are lost with them . Definitely check it out on youtube channels, plethora of training videos out there and see for yourself. "Revit: Revolutionizing the Building Industry"
Drafting buildings and building systems in 3D is excellent for explaining to clients what buildings look like. 3D Drafting can be complicated, but Revit has a fairly intuitive User Interface with accessible modifications that make sense after getting used to the software. Revit isn't easy to pick up without a background in drafting, but the power it has is formidable. I also enjoy the material schedules and quantities that it can generate on its own, it speeds up a lot of the work I've done. Revit is a difficult software to use to its fullest potential. There are many things going on and sometimes, to get a desired effect, you must go through steps in a very specific way. This can be difficult for those who approach drafting in a line of thinking from a different direction than the software is designed for. Still using AutoCAD for building design? Switch to Revit. It has far more information that can be used once layouts are completed. Building data can be retrieved such as R-Values, quantities of studs and sheathing material, structural data, volumetric values, the list goes on. Scheduling and taking quantities generated by Revit are probably the most convenient part of the software. The 3D drafting is awesome, but it doesn't necessarily speed things up, unlike scheduling. I love that Revit helps me to work faster - by updating everything real-time without having to re-draw information in multiple locations. I love being able to update a door type and it updates the floor plan, elevation, schedule, and any other locations that door shows up on the drawing sheets. Not having to go back and update every single reference every time there is a change to the drawing is such a time saver. I have found that detailing or drawing details isn't as efficient as I would like - so I typically still use traditional "drafting" for details instead of building modeling. I have found that drafting up intricate or non-standard details is a bit cumbersome. Implementing Revit is a slower transition to being efficient since it doesn't seem as intuitive as using AutoCAD and I'm frequently having to search for how to do different things I need to do. The text-editing interface is severely lacking. We are able to work faster since the building model is updated with every change. It also helps us notice any inconsistencies in the building design sooner since we have to completely "build" the building instead of drawing lines on paper with 2D drafting. We notice sooner if there is something missing from the drawing set or building design. -I like how its very easy to deploy and get started with Revit. -For all kind of drawings, Revit its the perfect software in Architecture and Engineering. -Rendering of images of high visualization. -Crating of new objects in 3d working space. -Revit helps multiple users to communicate while working on the same protects. -Still on 2d drawing and drafting i like the amazing job of Revit. The software is quite impressing, just that to get this product you have to be ready for the high cost. Revit fits all kind of designing, especially Architects and such businesses. -High quality of Architectural and Engineering services to the clients. -Saving of designing and drawing time. "Una Buena Herremienta para tus Proyectos"
A pesar de que no es una herramienta de dibujo clásica, es una herramienta que contiene funciones para todas las disciplinas, como mecánica, sanitarias y eléctricas, ademas de esto es cada vez que el software lanza una nueva actualización lo hace para mejor, añadiendo nuevos elementos que ayudan a agilizar mas el trabajo de un proyecto. Lo que mas me ha disgustado hasta el momento, es que a veces los archivos suelen ser muy pesados para procesar, por ende hay que tener una buenas maquina donde el programa corra muy bien. A pesar de un que es un software muy completo, si hay que ser muy paciente al momento de aprender sobre el mismo, ya que muchos piensan que puede ser como Autocad, por lo que esperamos que las herramientas sea similares a este, pero eso si una vez que te adentras al programas comenzaras a resolver la cosas mas complejas de una maneras mas rápida y precisa. Hacer modelos 3D de objetos arquitectónicos más rápido y de una manera más precisa. "Revit- 18 Years of Use "
Revit allows you to create a parametric building model, meaning when you move a wall, the floor, ceiling, roof, windows and doors go with it. It allows you to be as accurate as you need to be. All the objects "know" what they are and that data is available for the end user to access in whatever way they need to, ie graphical or tagged and noted or scheduled. Also drawing sheet creation is very easy. The groups tool is picky on what you group and how you do it and leads to time wasted on repeatative tasks. If you are coming from a 2d drafting environment you will have to understand you are now working on a building model. Everything you do in one view has an effect on other views and this is both a good thing and a dangerous thing. Learn how to use the tool as it is intended to be use. Delivering documentation to estimate and construct architectural projects. We have realized greater understanding of what we want to build before we actually build it. We also can show the clients what they will be getting in a way they can understand it(ie thru renderings or 3d perspective views). What I like the most about Revit is that all the information is contained in one model. You can have a better interaction with other specialties. Since everything is in the model the creation of the views and sheets is easier, walls and other architectural features are easier to set up. Sometimes when the model is big you have to use several parts so the central model doesn't crash. I have worked on big projects where we kept everything in one model and due to constant crash, we had to split the central model in two parts. But is not something that a couple of links cant solve. As soon as you start using Revit you will never go back to AutoCAD,so if you work as an architect or Interior Designer this is the right moment to start. Well, I work for a company that uses BIM as the main platform, most of our works are developed in Revit. "The ultimate design tool for A&E industry"
I love Revit because it allows multiple disciplines to put a 3D model of a building together at a high detail level. It greatly helps reduce discipline conflicts by allowing you to looks at a projects at numerous angles without having to flip from sheet to sheet, discipline to discipline. With high detail of design, it is not always easy to avoid errors and slowdowns on large projects. The more disciplines are involved in a single Revit model, the buggier and slower the model can become. On the bright side, Revit is getting better and better with each version in how it handles larger size projects and any syncing issues. Dedicate people on your team to be Revit experts. Revit requires a good chunk of overhead time for training and research. Solving conflicts between disciplines is a major positive of Revit. Revit allows for a quick visualization of all parts of a project for a more seamless design. "Revit is the tool of the future for the design community!" 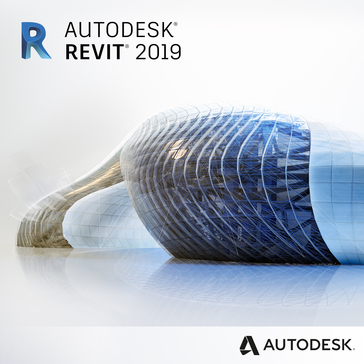 Coming from AutoCAD, Revit makes projects a seamless transition from preliminary design options to complete construction documents and administration. The ability to draw in 3D allows for coordination between disciplines to occur much easier to overcome design problems while keeping the project moving forward. Rendering and 3D views also provide a realistic experience for the client so that they may see there new building or product before it is built. This helps them tremendously by being able to market earlier to certain clientele or help with community approval. This is a great tool for collaboration between disciplines and if all parties have "bought" into the product, the project will turn out much better than if everyone uses a different design software. Some of the main problems with Revit is that there are sometimes some updates that tend to out date the computer that I have been using and would crash or certain areas would not work properly due to the out dated hardware. Also some collaboration with other disciplines makes it difficult when they do not use the same software and only a certain type of file can be brought in. Also the ability to not insert PDFs like JPEGs is an issue because PDF drawings have more detail and are more clear than a JPEG when inserted. If you are looking for a full service design instrument that can produce construction site ready construction documents as well as 3D rendering and perspectives, Revit is the GO TO product. The precision and complexity of the program allows for the user to create drawings with simple ease as well as create sheet sets that are ready to go out the door the field to be constructed. Many other disciplines are moving to the use of Revit, so by doing so, we are staying ahead of the game. The benefits for this product totally out weight its negatives given its collaboration efforts in our industry. We have been able to stream line our collaboration with other design disciplines to achieve our end goals of a fully designed and competent product. I like that this program is always evolving to meet the users needs. The programmers seem to continue to change and modify small details at this point to make it more efficient and user friendly. There is a forum entitled something like, "360 reasons why I cannot find my chair" meaning that because of the flexibility sometimes things get lost/won't show because there are too many options. This is the most user friendly and all inclusive program for this industry. Use of time is far greater than on any other project. There is great integration amongst ourselves for workflow, but also our consultants and engineers. We can use clash detection to fin where there will be problems, and also where we can afford to utilize space differently. "This is a great tool for generating floorplans, sections, elevations, and 3D models"
I like that we build a 3D building to generate 2D deliverables as opposed to 2D lines to represent a 3D building. By creating a model, when an update is made it is reflected on all other drawings as soon as The user's local file is synchronized with the central file on the server. Doing precision or unique MEP configurations can get tricky. The program is also very interconnected to the point that colleagues that were only partially trained have deleted what they thought were lines or items in a schedule but in fact deleted objects other employees were using as smart objects. After a few years of training though, it is now certainly saving us more time than AutoCAD did previously. If you're switching for the first time, be sure to do so on a small project. Learning the software on a large project like we did can be a very frustrating ordeal. We create large industrial R&D facilities or do retrofits of existing facilities. We can spend a little extra time up front to properly build the model, but the time saved later on with coordination and the missed coordination that was prevented is well worth the early schedule delays. "good for drafting and modelling.. not for massing"
I like Revit the most where it draws building in a way how its to build exactly. It calls for a drawback also if you are going out of the traditional way! Revit gives sections and elevations and 3D views in a click!! I would really like it if it would be as useful as rhino for massing purpose. Especially for curved objects. It messes up really bad there! Not useful for all the designers out there. It is very much indeed if you are in the construction field, for Architects and Engineers. It does need a computer system with good ram and graphics card to work well. Works better with Windows pc than Mac. Not so good for massing, mostly for manipulating an object with curves. I'm an Architect. I use Revit for all kinds of building drawings. The best part is many consultants can work on a single file at the same time. which gives you more clarity about the project. "In the Beginning of Revit 2017"
I'm only at the beginning and learning stage of Revit 2017. So far what I have learned and know at this time is it will be a great tool and I have a lot to learn. I can see through proper training one should be able to achieve great goals and produce amazing results with Revit. As I mentioned earlier, I have a lot to learn, there is a very large learning curve for skill sets with regards to being able to maneuver around with ease. I would recommend this product to anyone that is willing to see outside the box of the traditional 2D drafting stiles and advance into the 3D world that is current and thriving. I have no business problems to solve currently at this time, but the benefits are great and will worth it once I have gained control of this great product. "Powerful 3D Parametric Modeling and Drawing Creation"
Designing in a 3D environment that contains one project scope in one software file helps to eliminate the need for multiple drawing files that can be difficult to keep coordinated. The great feature of the parametric database is when you make a change in one place it happens in any related view. Worksharing -- the ability to allow multiple people to edit the same file and keep everything synchronized. Phases -- to show different sequences in construction. Schedules -- to quantify model elements. The text editor, although recently improved still isn't robust. Navigating 3D views in a large, complex model can be a bit difficult. Begin by creating a model of your home to gain a basic understanding of how the features are used and some of the challenges that come up when using Revit. Also, it's much more than just putting lines on a page. You are placing 'objects' into a database and so you need to keep 'the big picture' in mind of what you are creating. Eg: If you are modeling a wall, it has a thickness, a starting elevation and has a height--it isn't just two lines. There are also many 3rd party plug-ins that simplify repetitive tasks and make a drawing/modeling workflow simpler. We are able to gain a better understanding of how the building will be constructed by reviewing the construction documents as well as the 3D model. We aggregate models from multiple sources and set them up to export to Navisworks for clash detection. I like that I can simultaneously create floor plans, sections, elevations, and 3D views by building my model. This allows me to work quickly and efficiently. Also, it is a great way to create construction drawings. It is very easy to create various sheets and organize them accordingly. Also, symbols and text are generally pretty universal, which creates a cohesive looking project. I think that the renderings that are produced could be stronger. It takes a lot of effort and adjusting to create a good rendering through the cloud. The light and materials often unrealistic and flat. Many of the Revit families found online are not accurately portrayed and do not function well in the project file. They also cannot be easily adjusted, which Revit should allow the user to do. Also, it uses a lot of memory on my computer, which causes my computer to work slowly and it sometimes crashes. To make sure that your computer can tolerate using that large amount of memory. Also, there is a limited amount of credits a student can have. Therefore, the student cannot render as many times as he or she wants which is limiting. I use it to study the space I am designing and to complete projects, which includes floor plans, lighting plans, details, sections, elevations, and renderings. It is an easy way to get a sense of the space's size and overall feeling. "Convenient Software in compare to AutoCAD"
Don't need to draw section and elevation separately. You do not need to draw elevation and sections separately. At the same time that you draw floor plan, you will have the 3D, so the elevations and sections. If you change anything in floor plan, you don't need to manually change it in elevation and sections, automatically all changed accordingly. Another option is to sync Architectural Revit to structural and MEP versions for cost estimating, structural and MEP design. If you change anything in architectural REVIT, you don't need to manually change it in STRUCTURAL REVIT/MEP REVIT. Automatically all changes happens there accordingly. So when it's synced, every change can be seen by other engineers who use same plans in REVIT. Hard to use it for already built buildings. Specially for windows, doors. Even for new buildings, if you don't have the Revit furniture/windows/doors of the manufacturer as a REVIT, it made it hard. Also, changing the levels that you defined in beginning causes change in whole project. Another problem is you can copy it to use it for another building, because you can modify i=the older one for newer project. Architectural Revit can be synced easily to structural and MEP versions for cost estimating, structural and MEP design. If you change anything in floor plan, you don't need to manually change it in elevation and sections, automatically all changed accordingly. So when it's synced, every change can be seen by other engineers -structural engineer, mechanical engineer, electrical engineer, cost estimator, and project manager - who use same plans in REVIT. "Enhanced software for enhanced design"
The ability to see and coordinate with all MEP trades in real time in the same model. It can be finicky sometimes with the specific way Revit makes you do certain things. Sometimes it doesn't seem like the best approach, but you can get it done. It can feel like a steep learning curve at the beginning, but once you understand how the software works it can be a fantastic design tool. File management is the best part of this product, instead of loosing links or broken x-refs, revit holds the entire project in one file. Never worry about re-numbering pages, double checking drawing call-outs again! Works well with simple projects as well as complex buildings. Like most autodesk products, there are many intuitive features, it just takes a while to get used to short cuts and key strokes. There is a steep learning curve to this program. If coming from traditional CAD expect to spend a good chunk of time learning the basics and tools. Don't expect to be able to use and understand all the functions on your first project. Lynda has excellent training courses. The text editing feature is like working in the stone ages. It does scale to the drawings better than traditional autocad but good look formatting simple text boxes or tables. This products is 100x more effective if your consultants are using revit as well. It is not a deal breaker since you can export easily into a CAD format but helps catch coordination errors in projects. If a rendering is part of the scope of work, you are also able to easily import the model to additional software such as lumion with plugins rather simply. "Awesome Product and still evolving. " Ease of use. Great View and Sheet creation features. Interoperability is pretty good with other BIM and non BIM formats. Object based tool that each object knows its spatial location, how to interact with other objects, Data storage and extraction for each element and create relationships and links to other files. Shared Parameter in Key Schedules. Design Documentation, Great ease for organizing Vies and Sheets for the project. "Revit review for a small Architectural Firm"
The program itself is easy to use and very easy to teach. The best use for this program is modeling a project to its most simplistic form in order to get good renderings. Then you gradually update the model to make elevations, floor plans, etc. The biggest con is the price of the full Revit program. Sometimes it is not feasible for a small firm to use because of the cost of the program. Revit does not allow you to save back once you update a model to a newer Revit. This is a huge problem especially when not everyone in the office has the latest Revit. Try Revit LT first on a small project, then gradually upgrade to the full Revit program. I am able to share the model with engineers which in return makes for a project with less errors during construction. It makes for working with the engineers and client much easier, because we can all visualize what the actual project will look like with all of the components. Revit is a feature-rich platform that not only allows you to design buildings but analyze them with a series of different tools. Whether you're looking at quantities, structural analysis, or building performance analysis, it has it all. The overall price is relatively expensive. Users are now required to purchase a subscription which is best described as a lease. The are so many features, that it can be difficult to know enough to be completely proficient. Select the tool that allows you to be efficient and collaborate with others. Revit feels like an all-in-one solution. Not only can you document your designs, but you can coordinate in 3D, create 3D renderings, analyze the structure and building systems. If you take advantage of Revit fully you can create a file that has all the documentation you need throughout the design process, that can be accessed from multiple locations by multiple team members. Text formatting is tricky in Revit, not all fonts and formats are available. 3D modeling is not as quick or intuitive as it can be in Sketchup. Take the time to set up the organization of your model, especially if working collaboratively with other team members. Save often! It's great to have a pretty much 1 stop tool for drafting plans, elevations, creating 3D views, creating renderings and producing construction documents. This is software that can be used throughout the design process. We work across offices in different regions as well as globally with this software. * We monitor all Revit reviews to prevent fraudulent reviews and keep review quality high. We do not post reviews by company employees or direct competitors. Validated reviews require the user to submit a screenshot of the product containing their user ID, in order to verify a user is an actual user of the product. Hi there! Are you looking to implement a solution like Revit?